Manufactured at Tabacos Valle de Jalapa S.A. (TABSA) factory, Guardian of the Farm features wrapper, binder, and filler from Nicaragua. The Nicaraguan puro comes in three sizes: JJ (5 ¼ by 5), and Apollo Selleccion De Warped (6 by 44), and Campeon (6 by 52). 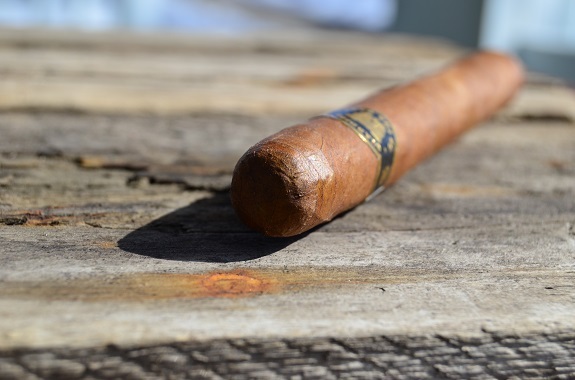 The cigar will run you between $8.00 and $8.74. 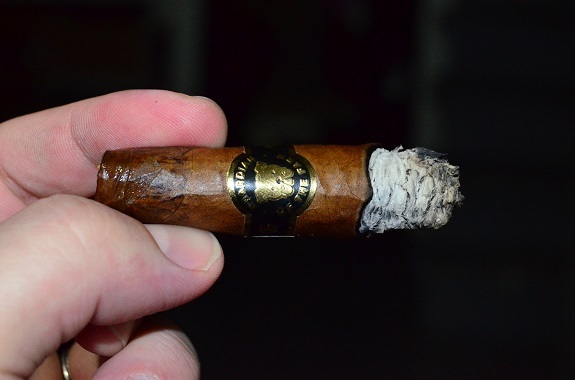 You can purchase the Guardian of the Farm Apollo Seleccion De Warped from our good friends at Cuenca Cigars in their 2017 Top 10 Cigars by Cigar Aficionado sampler. The Guardian of the Farm Nicaraguan Corojo 99′ wrapper that is light to medium brown in color does little to hide the character of the leaf. Veins and bumps are everywhere and there is a decent amount of oils. 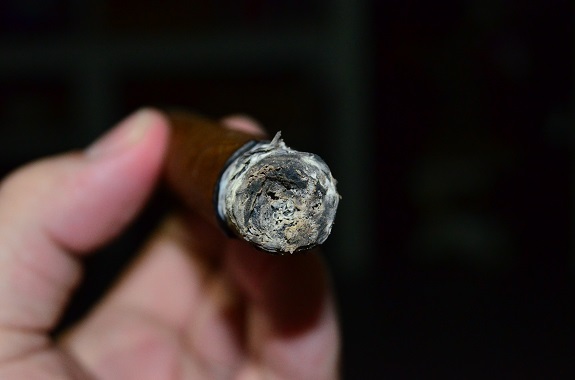 The cigar is evenly filled from top to bottom. A floral and brown sugar aroma is found on the wrapper. The draw is stiff, which I hope opens up after I burn past the tobacco covering the foot of the cigar. Flavors of cedar, clove, and cinnamon are introduced on the cold draw as a mild spice is felt in the mouth. 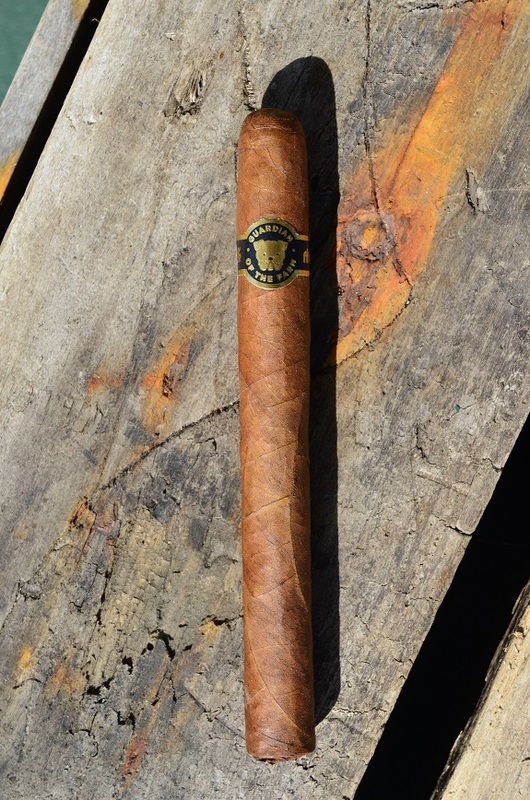 This Casa Fernandez made cigar opens up with an earthy and woodsy profile with a medium pepper spice and a contrasting sweetness. The pepper heat quickly intensifies to full. The eyeliner burn is a little jagged and the easy draw is allowing the smoke to pull through effortlessly. The sweetness is now identifiable as brown sugar and a black coffee flavor has joined in with a faint cocoa. The pepper spice has the edge on the rest of the flavors. As I pass the smoke through my nose, the spice is accentuated, but not overwhelming. A small section of the wrapper is struggling to burn, but I am not willing to bust out the lighter just yet. A quick touch-up is required as pull into the last third of Guardian of the Farm Apollo. The brown sugar is getting pushed back by the darker flavors of earth and coffee. This is the first time in the smoke that the spice has settled and is not center stage. The smoke production is somewhat lacking in the final third. 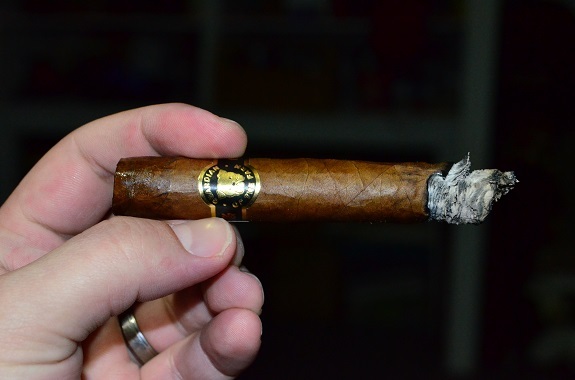 The Guardian of the Farm Apollo Seleccion De Warped brought to the table some darker flavors, a good amount of spice, and a sweetness that rounded out the flavors. At times, the spice overwhelmed the other flavors but played well for the most part. 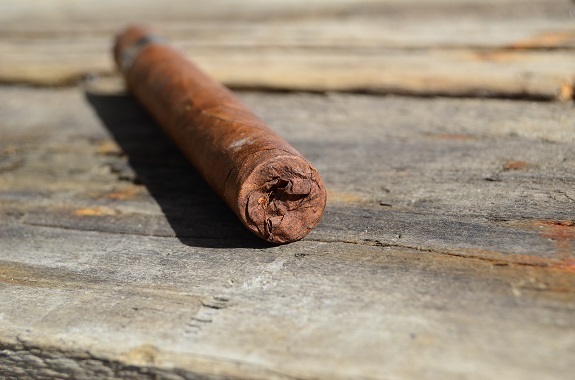 The 6 by 44 cigar burned for an hour and twenty minutes and required only one touch-up during that time. 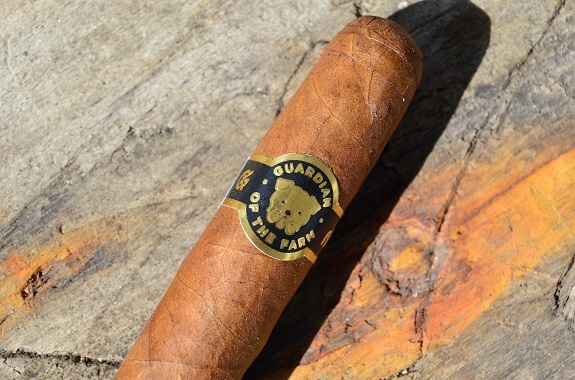 For an $8.00 cigar, I don’t think you can go wrong picking up Guardian of the Farm from our friends over at Cuenca Cigars.